Local Paper Supports School's Toy Drive with Great Comic! We just love this comic supporting Tashua School's toy drive! Unsubscribe from: Blog item: Local Paper Supports School&#039;s Toy Drive with Great Comic! Thanks goes out to two of our tremendous corporate sponsors, Viacom and 1-800-GOT-JUNK, who've been working with us for many years. This year the Viacom Controllers Team collected close to 150 toys for Room to Grow NYC, a non-profit organization that provides support, supplies, and an inviting space for babies born into poverty. Our transportation partners at 1-800-GOT-JUNK? are generous enough year-after-year to provide their trucks and manpower to deliver toys all across the US, and they were on hand to deliver the toys to Room to Grow NYC. Thanks again to Viacom for their collections and to 1-800-GOT-JUNK? for their support! Part of the reason people donate toys this time of year is to make room for new toys aquired during the holiday season. Since recycling and toys is our specialty, we thought we'd put together some thoughts on what to look for as you're shopping for your little ones! 1. Materials matter. Look for toys that use recycled plastic, paper, or eco-friendly woods. Some of our favorites are toys from Green Toys. They are made from 100% recycled plastic (mostly milk jugs) and are made in the USA. 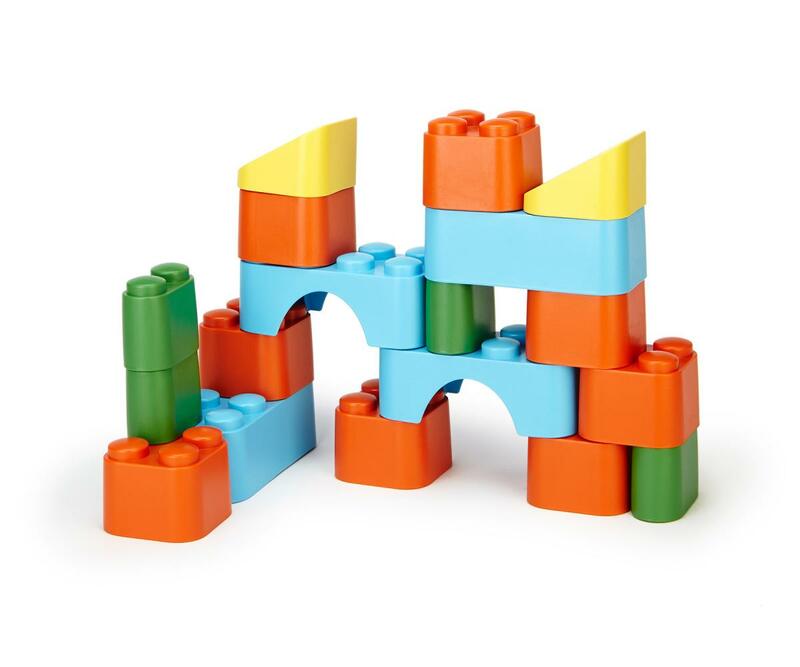 They've got a great selection of new sure-to-please products for 2015, including a block set. Shop here. 2. Look for toys that give back. Toys have come a long way in teaching children the imporance and relevance of giving back. Some companies do it as a portion of sales, and some include special codes and online portals that allow children to log in and choose who recieves their donation. We like ShelterPups, adorable plush 100% wool animals, made in the USA using cruelty-free and flame retardant wool. Kids can login and choose where to donate their Rescue Points (earned with purchase) to one of the 5,000 SPCA shelters on their website. 3.Recycle and DIY! You know the joke about kids loving the box that toys come in more than the toy itself? It really holds up. Kids love cardboard boxes! We bet you'll have a few after holiday shopping, so make good use of them. There are a ton of really fun ideas on Pinterest if you search "DIY Cardboard Toy." A car wash, mailbox, rocket ship, doll bed... the possibilites are endless! 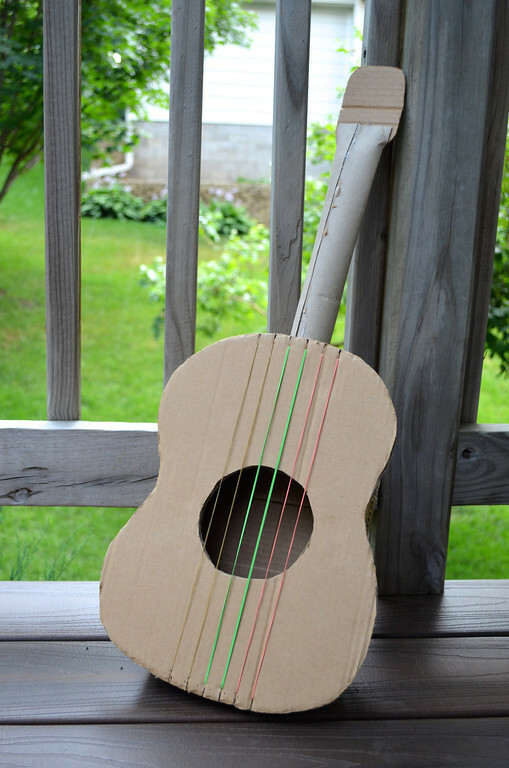 We thought this guitar DIY was pretty clever! Happy shopping (or crafting)! And remeber to donate your used toys at a local drop-off site. Thanks is a word we use and hear a lot at Second Chance Toys. Every year, we get thank you cards, emails, and photos from the appreciative organizations that have received more than 215,000 toy donations to-date. We also give lots of thanks to the amazing volunteers and sponsors who collect toys and support us. Especially now, right in the middle of our holiday toy collections. We couldn't do it without your hard work! And collectors, don't forget about all of the resources we have on our website. One tool that people sometimes forget about is our free, downloadable activity booklet for kids. It helps reinforce the good that donating toys to children in need does. Below is an example page from the booklet. Download it today! America Recycles, and So Should You! This Sunday, November 15, is America Recycles Day from Keep America Beautiful. An annual event since 1997, the day aims to educate Americans on what can be recycled, and encourage them to do so. It is the only nationally-recognized day for promoting and encouraging recycling. So, let's recycle. It's what we're all about! Plastic toys are easy to recycle with Second Chance Toys. They don't have to undergo any process or become something new, just donate perfectly good plastic toys through Second Chance Toys, and a child in need will be able to use that toy right away! Here's a link to our growing list of places to donate this holiday season. SCT volunteer, Lauren Slinger, took some time to write down ideas to help get the ball rolling on donating unused toys with your children. Take a look and set aside some time this Sunday to recycle those toys! You walk into your child’s bedroom and grimace? If you’re lucky, you haven’t tripped over anything or bruised your foot after stepping on that action figure toy. It’s a mess and new toys only make the mess worse. So what do you do? Time to consider donating the old to make room for the new! 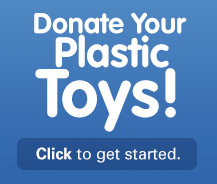 Just by donating a gently used plastic toy, you can make a world of difference in the life of a disadvantaged child and at the same time help keep non-biodegradable plastics out of our landfills. However, the question remains, how can you get your child to accept giving up his/her toys? When it comes to donating their own things, it's common for kids, especially younger ones, to put up a fuss. Children often grow attached to their possessions, so it's natural for them resist parting with them. But even preschoolers are old enough to learn about generosity, compassion, and the importance of helping others. 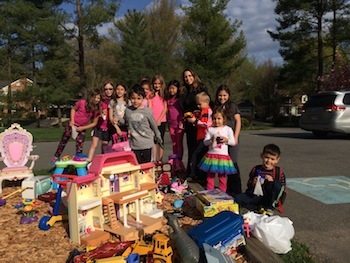 Donating their old toys is a great way to begin that lesson. One mistake parents often make is gathering up toys for donation when the kids aren’t home as a sneaky way to get rid of the clutter. This can be problematic since your kids might be upset when they find out by surprise that their possessions are gone. Most importantly, you missed the opportunity to teach your kids about charity and the joy of helping others. Ask for Help. Let your kids know that you plan to donate some toys to a charitable cause. 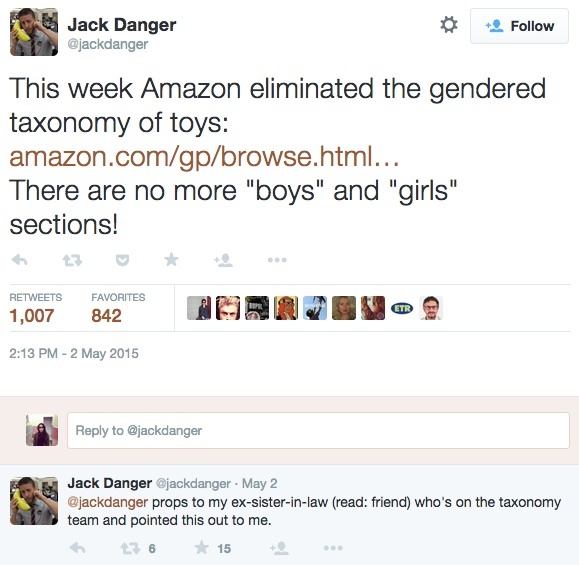 Try explaining where the toys go and who receives them. Let kids decide which toys stay and which ones go. When they can't yet seem to part with a favored item, try to encourage them to look for other toy options to give instead. Set a target. Make it fun by turning it into a game. For example, for every two toys they keep, see if they can give up one or work with neighborhood parents to turn it into a local drive where kids can compete and help clean and pack to give to charity. Explain to your children that broken toys or toys with missing parts should not be donated. Ask them how would they feel receiving such a toy? And if a toy’s battery no longer functions, have your child help you replace the battery to give it new life before donating. Spruce up your gently loved toys before donating. Make cleaning the toys a family activity. This is a chance to do something together and work towards the same goal. You can divvy up the tasks and ask your children to decide what part of the process they want to lead. This is a great opportunity to sensitize your kids to the fact that so many children go without toys. Ask them if they would like to go with you to deliver the toys and see how happy they are going to make others feel. These are the teachable moments that can potentially stay with them for life. 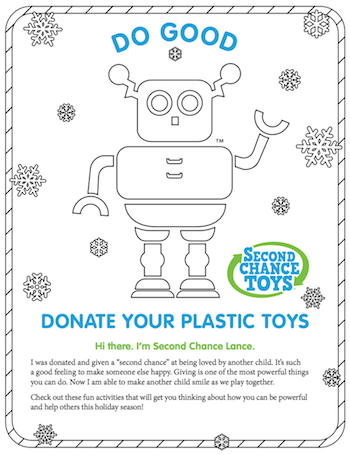 You can use Second Chance Toys to find out where to donate. If you have just a few toys, find out where they list Drop-off Locations near you (in April for Earth Week or in December for the holidays). If you cannot find a drop off in your area, consider collecting 50 or more plastic toys and Second Chance Toys will arrange for you to donate your toys directly to a local organization. Consider that your child has just parted with a once prized possession. Give him/her the credit they deserve and let them know what a difference they have made in someone else’s life. Continue to encourage your child to give and volunteer and this will surely help strengthen their moral compass and empathy for others less fortunate. Unsubscribe from: Blog item: America Recycles, and So Should You! 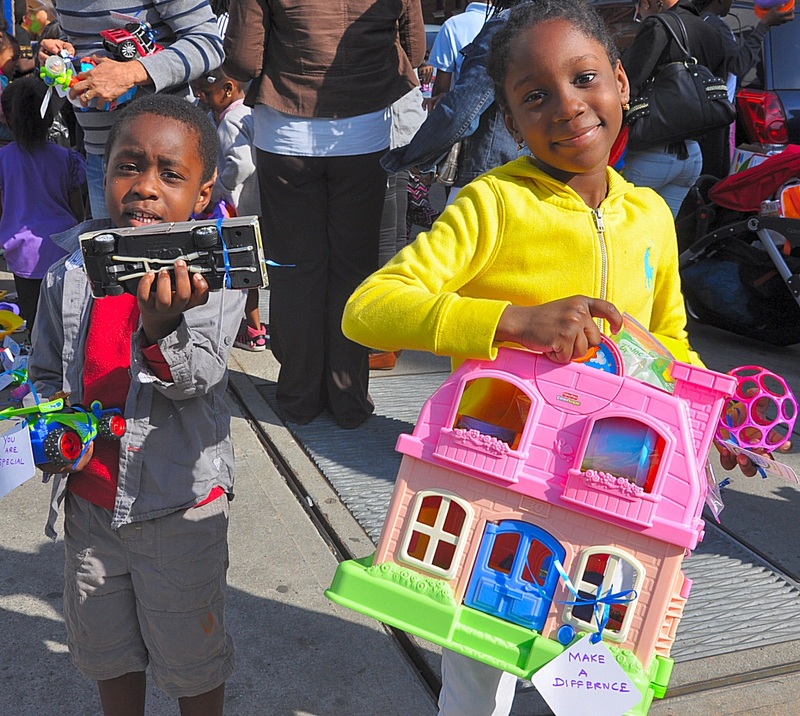 Thanksgiving is just around the corner, and that means it's toy collecting season! Information and the sign-up can be found here. Below, we've got some wonderful tips from a seasoned toy collector on just how to go about it--and more importantly, just how easy it can be! Be sure to share your toy collection photos and updates along the way by using the hastags #toysforgood and #secondchancetoys on social media. We'll see you out there! Last year I organized three collections for Second Chance Toys. They were three different experiences not only in terms of different tactics and timing, but also location – one was at a school during the winter holiday season, one at a community center on Earth Day, and one in a corporate office. In spite of those differences, all three collections went well. And in all three cases, I was pleasantly surprised by how easy this was to do; a relatively small effort generated an outsized return in terms of educating children, keeping plastics out of landfills, and giving back to local communities. 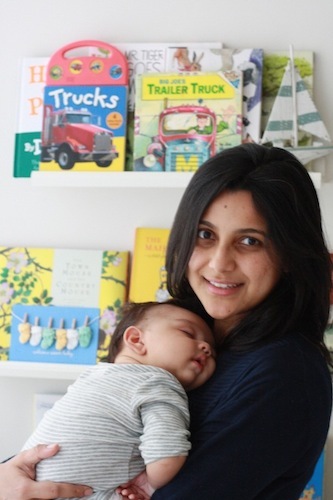 (A quick point of context – I am a mother of three young children, and I work full-time in a corporate management position. Thus, my emphasis on keeping this simple. You too can do it, really!). Running an SCT collection does not take months of planning, nor a committee of volunteers. In fact, two of my collections were organized with just a few weeks of lead time. Sure, it would be better to have a little more time to publicize an event, and in some cases (see point #2 below) you’ll need to get school permissions much earlier, but the point is that it can be done with whatever time and resources you have available. 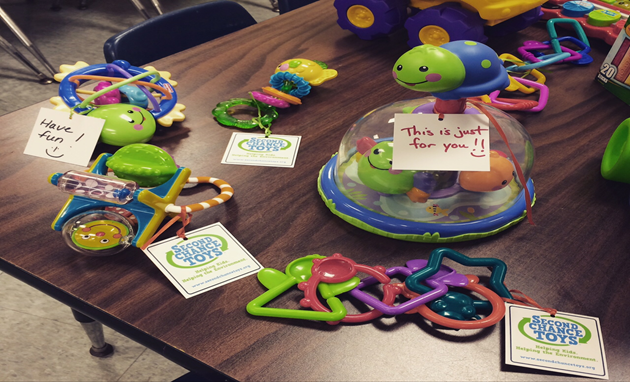 Take advantage of the kits that SCT makes available – they have flyers, e-mail messages, and toy tags already crafted. They can also help to line up the recipient organization and trucking/logistics. They also provide instructions for how to run an event and which supplies to bring (As far as supplies go, I believe I boiled it down to large garbage bags and wipes. Again, pretty simple!). They get a ton of requests for events at the school, so even if your PTA or school administrators think it’s a great idea, they may have to say “no” if the schedule is already full for the upcoming year. On the other hand, don’t stop if they say “no.” You can run a collection with or without them. For one of my collections, I was fortunate to get the school’s director onboard as a very enthusiastic champion (despite the fact that I contacted her just one month before the holiday collection event!). She really took over from there, organizing the space, bringing supplies, and publicizing the event. In contrast, at my other event, the school/PTA had to say “no.” So I quickly shifted gears, and set up the collection at a nearby community center (it took just one e-mail to someone in the community to get permission). We did that event before school on the morning of Earth Day with coffee, hot chocolate and donuts as a treat for the attending parents and children. It was a fun gathering, and a novelty for the kids to see one another before school. P.S. It helps to have a playground next to your collection area! In addition to publicizing your collection event via mass e-mail lists and flyers posted in prominent community areas, lock-in some participation by recruiting your children’s friends and their parents or some of your co-workers – I sent quick personalized notes that did the trick. Unlike other fundraisers, this is a pretty comfortable ask; after all, you’re not asking anyone to shell out money or buy your kid’s cookies (I’ve always felt uncomfortable obligating friends and co-workers to participate in those fundraisers). But in this case, you’re simply asking them to donate items they no longer use or need; in fact, they may even thank you for giving them impetus to finally de-clutter that old playroom. At the end of my first collection event, I decided to follow the 1-800-GOT-JUNK? truck to the site of the organization that would be receiving our donated toys. And boy was I glad I did! It’s one thing to know that you’re donating to children in need. It’s another to see it first-hand. I was moved, to say the least. It gave me pause in what would otherwise be a run-of-the-mill day, consumed by frivolous work issues and artificial stressors. I was blown away by the Director of the Mission, who invited me in for a tour and showed me around with deep pride and with a humbling story about how he worked his way from homelessness to holding the keys to this great facility. 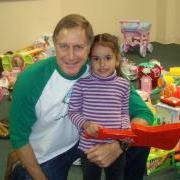 He assured me that our toys would be greatly appreciated by the families and children who depend on the mission. I first came across Second Chance Toys about one year ago, by chance, as I was searching online for something else. I loved the premise of SCT from the moment I read about it. Over the years, with each passing birthday and holiday season, I’ve watched as my children unwrap far too many toys -- and while I appreciate the generosity of our friends and family, I also cringe at the piles of plastic parts accumulating in my home; toys thrown astray after their fun has worn off. I know these toys have a longer life to live, and Second Chance Toys is an opportunity to take action; we can all reduce environmental impacts while also bringing the joy of toys to children in need. Second Chance Toys is blessed to not only have a lot of supporters, but many long-standing people who regularly contribute time and other resources to the organization. 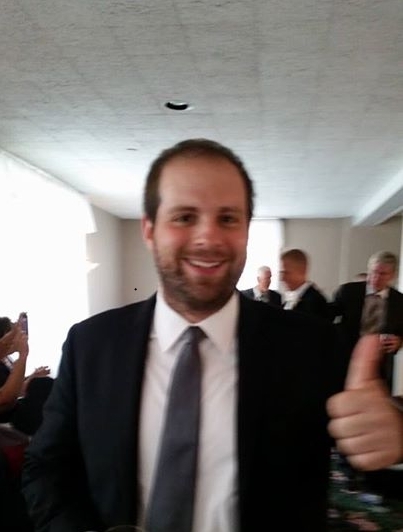 One such supporter is Alan Branfman from Temple Shaaray Tefila, located at 250 Est 79th Street in Manhattan. The congregation can also be visited online. Alan, a graduate of the University of Wisconsin, first learned the importance of community-oriented volunteer work during his college days. He was a volunteer at the University in a 4-year recreation program for mentally challenged adults and teens. After his college years, he moved to Roxbury, Mass., where he was a paid teacher-coach-facilitator for Volunteers In Service To America (V.I.S.T.A.). He worked daily in a Head Start Center and then in the afternoons he coached young teen boys in athletic programs and took them all around Boston, acquainting them with various cultural institutions that are so much in abundance in the city of Boston. Whether this is all rooted within the concept of "tikkun olam", Alan has proven to be someone who helps others on a regular basis. I had the pleasure of conducting a Q & A with Alan for the SCT Blog. Alan explained to me during our exchange that the movie "STAND AND DELIVER" was especially inspiring to him. When pairing that film's message with the mission of Second Chance Toys, he felt as if had found a new mission in life. How did you find out about Second Chance Toys? Alan Branfman: I initially found out about SCT from Alan Goldberg, also a member of Shaaray Tefila. About 9 years ago, he asked me if I would be interested in collecting gently-used plastic toys from members of the temple, in order to donate them to children in need, and keep them out of recycling dumps as long as possible. 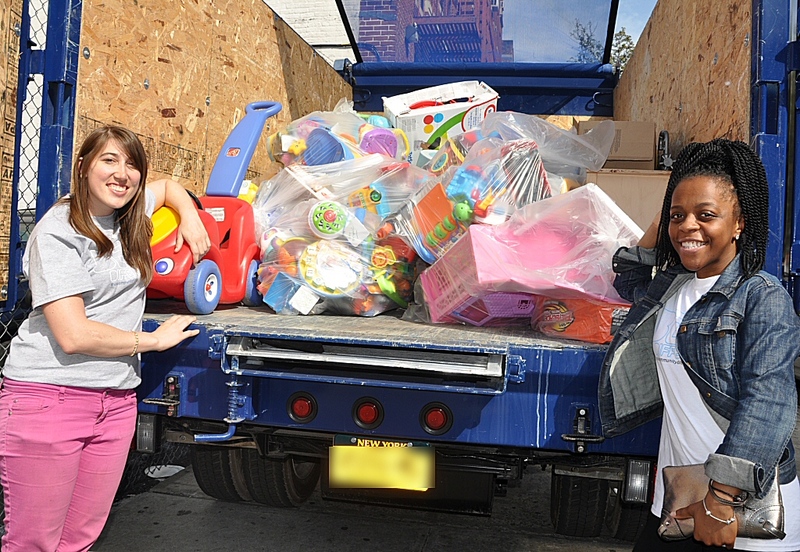 We collected a great amount of gently-used plastic toys. I always enjoyed doing this around the holidays each year, for sure. Alan Goldberg moved out of town, and I have been doing this project on my own, with the splendid guidance and assistance and contributions from the people at our synagogue. I expect to continue in this vein, hopefully, for much time to come! What is your favorite thing about working with our organization? Alan: my favorite aspect of working with SCT is that they do what they say that are going to do--always! They tell me when to expect the pick-up truck on or around Dec. l9th each year, and the truck invariably arrives always precisely on time. We load the toys onto the truck sent by l-800-GOT-JUNK? and they take the items to the destination so designated. In the past few years, I opted to travel to a school on Manhattan's Lower East Side, where the toys were distributed at a ceremony presided over by an inspiring NY Giants football starting player. I enjoyed this piece of the ceremony immensely. I then traveled the next year to a Head Start Center in East Harlem, which was great. This past year, SCT found a very suitable Head Start Center that was quite responsive and, the distribution ceremony was very moving. I hope to interact at this facility many times in the future! Great, good people! It has been a very on-time, well-selected time frame that these events have unfurled around the Chanukah/Christmas season. Second Chance Toys has never failed to set things up professionally and be quite responsive to the needs of the place where the children receive the toys.And, they have coincided wonderfully with Shaaray Tefila's collection schedule. Do "Green Initiatives" factor into your daily life at all? Alan: Green initiatives are all around us, for sure. Whether it be discarding waste products in a recycling situation, or working to improve a street's appearance or a building's facade- outside and in-- with newer technologies. I am totally in synch with these types of undertakings. I don't specifically claim to have innate knowledge of the many facets of green technology that is abounding more loudly and distinctly in our environment. But, the fact that the new technologies are predominating more and more in our society augurs well for a cleaner, healthier environment that we all strive to have and hope for in the decades ahead. Our children and future grandchildren deserve to have the cleanest atmosphere possible. 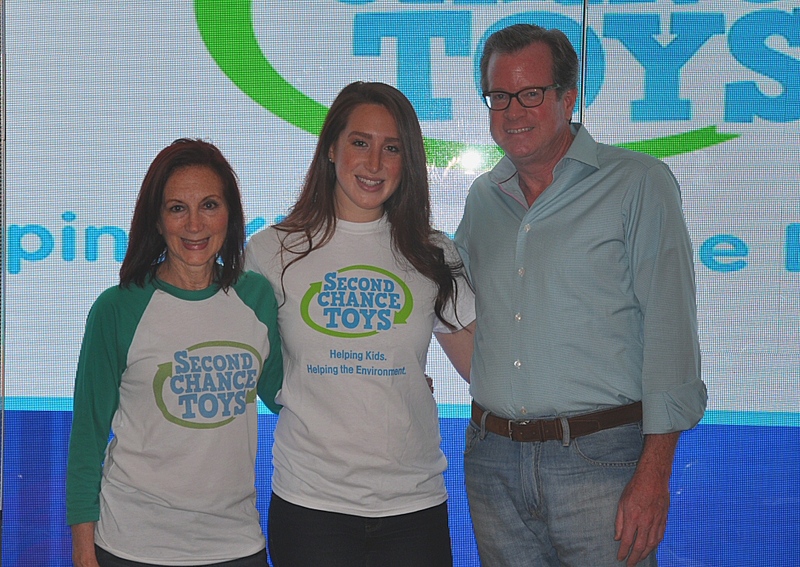 I would expect that Second Chance Toys, with its emphasis on cleaning up the world we live in by putting off the disposal of plastic toys through their collection activities-- will flourish more and more in the short and long term, as its stated goals become even better known. Does the Shaaray Tefila Synagogue have other causes that it champions? Alan: Shaaray Tefila has many, many other causes is advances very well. Firstly-- they do also collect items a few times a year for Jewish soldiers who are stationed overseas. They are in areas in which the U.S. military has placed these men and women all over the world. Such items as clothing, toiletries, books, are all shared with these brave soldiers throughout the world. Secondly, they have a "Mitzvah Weekend" at least two times a year. I have done some volunteering in this area-- where people fan out throughout the 5 boroughs. We visit some senior centers, and spend time with seniors in their home environments at the centers. Thirdly, the synagogue is embarking on a very significant program that will provide meals for school children who experience a deficit of food here in the city each and every day. This has been named "Backpack Buddies", which will be working diligently to include more and more meals each year ahead for these students. Another program is a soup kitchen, which has been operational for years and years at the synagogue. Volunteers work once a week at the temple in one of the main rooms on the ground floor, providing meals for neighborhood people that are served with no strings attached. I could go on and on about what the synagogue does on a yearly basis. Suffice to say, it is a strong community-oriented place , with many outreach programs of all stripes and varieties. 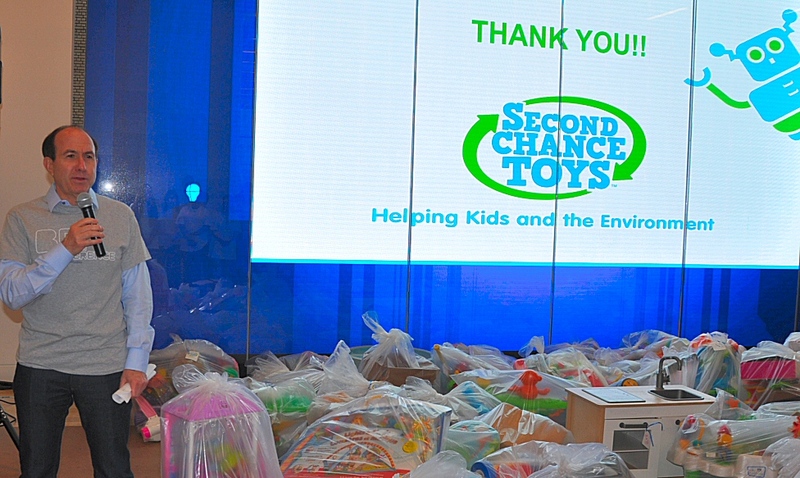 We look forward to many more years working alongside Second Chance Toys! Thankfully, my three-year-old son doesn't have a very strong opinion about what to dress up as on Halloween. This year he/we decided that he'd be one of his favorite book characters, Waldo of Where's Waldo fame. A pretty easy costume. Just needed a knit hat from a very talented family friend, some round glasses, and the most essenital item--Waldo's trademark red and white striped shirt. We had to order the shirt and glasses online. Thought it'd be no big deal, but we had our first Halloween party today (10 days before Halloween) and we were short one item. The shirt. There's really no Waldo costume without the shirt. So, after didn't come in yesterday's mail, we had to scramble and find something from what we already had at the house. My son's reused costume came together quite nicely. He was a skeleton paleontologist. Just as cute as Waldo, I think! As we searched through the house, I realized just how many potential costumes we had lying around the house. A pretend play doctor outfit, a fleecy one-piece lion/bear outfit, a train conductor hat and overalls. But the skeleton sleep outfit that's a size too small combined with the dress-up paleontologist set proved the perfect combination. Next year, instead of ordering new, I'm going to try to take a look around the house and see what clever and fun costumes we can come up with. It's a good challenge and there's certainly more pride of ownership when you create it on your own! -How can we best prepare our son for this new interconnected world? -How do we raise an empathetic, globally-aware child? -And, in a world filled with prejudices, how do we teach him to appreciate different countries, cultures and people? I would love to share with you some ideas that we have read about -- or come up with -- and hope to incorporate in our home. Another wonderful way of introducing your child to different countries is through food. For special Friday night dinners, plan (well!) ahead of time. Let your children choose a country, visit a grocery store that carries a variety of ethnic groceries and prepare something different from your usual fare. Think falafels, sushi, chicken (or vegetable) tikka, injira, dosas, tapas or pierogi! -What animals would you find there? -If you visited, what would you pack and what would you do there? Another fun way to introduce your child to different countries and cultures is by incorporating them in various customs that they are already familiar with. For instance, take the tooth fairy custom, with each subsequent tooth, I'd love to replace the American Dollar with currency from a different country along with a letter from the tooth fairy with information about the country she just flew in from! "Where Words Fail, Music Speaks.” I believe it was the very beloved storyteller, Hans Christian Andersen, who once said this. Pandora, Spotify and other musical outlets today have a host of beautiful music from around the world. Expose your children to the beats, rhythms and instruments of different worlds. Dance around the house, Attempt to learn the chorus and sing along! If you'd like, go the extra step and buy some simple instruments from different countries. Let your kids enjoy the sounds that will hopefully transport them to another time and place. This one is fairly straight-forward -- make learning a second language a priority. There are few better ways to immerse oneself in a different country (from your own home!) than learning a new language. Duolingo is a free app for smartphones and tablets with more than a dozen languages to study. For slightly-older children, build awareness about the issues that different countries are facing today. Talk about them at dinner-time, listen to their viewpoints, encourage volunteering for different causes that they might feel strongly about, try and incorporate ones that transcend borders and are global in nature. As the saying goes, it takes a village, and in the case of Second Chance Toys, that village is full of bright, energetic and talented people who make a difference. One of those people is Craig Scott, the Founder and CEO of CHS Ventures who also serves on SCT’s Board of Directors. Craig has been involved with our organization for more than eight years, making things happen throughout Pennsylvania and well beyond. Craig – who was named CEO of the Year at the Philadelphia Business Journal Life Sciences Awards in 2010 – is not the only Scott involved with our organization. In fact, his whole family is actively involved. How did you first find out about Second Chance Toys? CHS Ventures’ Craig Scott: My children and I started up Second Chance Toys in Pennsylvania in 2007. 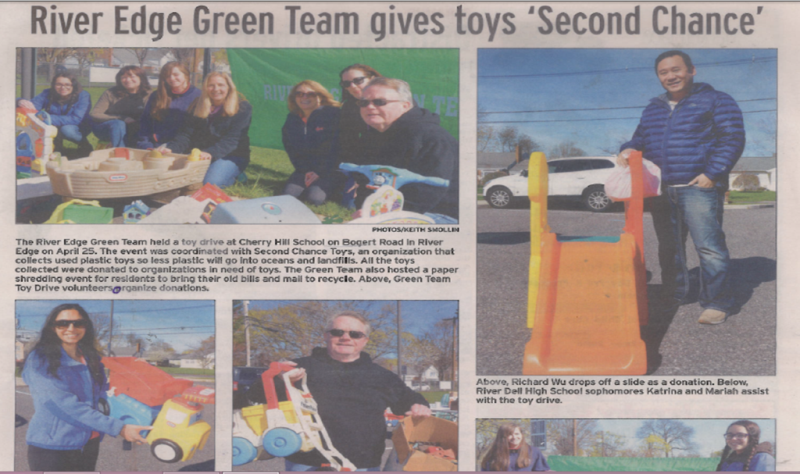 Kyle and Cara were young teenagers and we had seen what Sasha, Bronna and Shelly Lipton were starting to do with Second Chance Toys in New Jersey and thought “this is a fabulous idea.” We wanted to be part of it and thought we could make a big difference for the environment and for deserving kids in our hometown near Philadelphia. What is it about the organization that keeps you such a loyal contributor? Craig: Second Chance Toys is a genuine labor of love for me. Our family has always been community-minded and we look for opportunities to help others in need. I thought the Second Chance Toys concept was brilliant. We help the environment by recycling gently-used plastic toys and keeping them out of the landfills. And then help less fortunate kids by donating these really great toys to them during Earth Week and the holiday season. As tough as life is for so many out there, our toys mean a lot to the kids and families we serve. It touches me to see the result of our efforts, and I think we are imparting terrific life lessons all along the way from collecting the toys from those who have them to giving them away to those who need them. As a parent, it was really important to me that my children learned about being responsible to others. We need to take care of the Earth, and we need to take care of others who have less than we are lucky to have. I am loyal to Second Chance Toys because I believe in our mission and there is a lot more important work to be done! Has the growth of Second Chance Toys surprised you? Craig: The growth of Second Chance Toys has been astounding, but I am really not surprised that it has taken off the way that it has. My kids and I started this as a grassroots effort in Philadelphia out of the back of our family minivan. We would literally drive miles to pick up bags of toys from parents and grandparents whose kids had outgrown the toys or who were doing spring cleaning. Then, we would find organizations which served disadvantaged kids and organize a donation. We gained a lot of local attention, momentum and support for our local efforts, and so many wonderful people and organizations have stepped up and pitched in to help Second Chance Toys grow. We’ve conducted toy drives with elementary schools, churches, synagogues, groups of boy and girl scouts, large corporate partners and even professional sports teams. Today, we are a growing 501(C)(3) charity, trying to raise money to expand our efforts across the country and across the world. We’ve already donated over 200,000 gently-used and recycled plastic toys to deserving kids across the country and in Australia, too! Do you have a favorite memory related to the work you've done with Second Chance Toys? Craig: I have a lot of favorite Second Chance Toys memories. Some are big. Some are little. 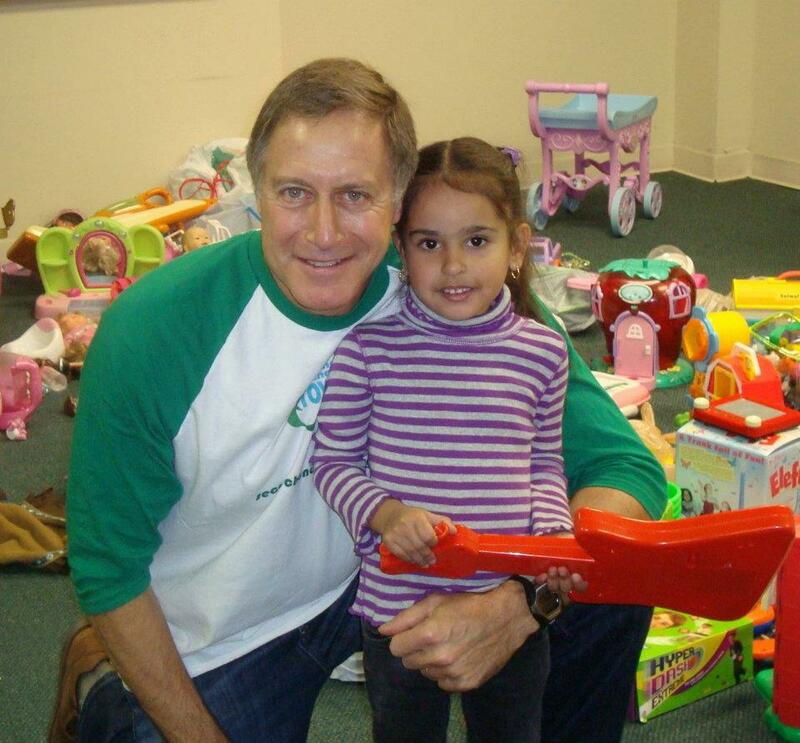 For example, we teamed up with the Philadelphia Phillies during Earth Week a few years ago for a promotion and all the fans were invited to donate their gently-used plastic toys to Second Chance Toys stations at Citizens Bank Park. Another time, we were covered by National Public Radio one Christmas season. Their story was broadcast on national radio on Christmas Day. NPR told of how we collected toys through a youth group at a local church and we stored the hundreds of toys in my garage, later to be shined up and given away to low income children in North Philadelphia. My kids were interviewed for that story, so that was really fun. But my most favorite memories were the smaller, more intimate ones. We used to support Trinidad Head Start in North Philadelphia. Year after year, we would show up for their holiday performance. All these cute little kids of every shape, size and color would perform songs and dances for their families, teachers and us. Then, each kid would have the chance to walk into a separate room to pick out a Second Chance Toy of their choice. And believe me, they tiptoed around that room like these toys were jewels at Tiffany’s. They were always so appreciative of this gesture of holiday love and it gets me, even now, to tell the story. It’s a beautiful thing. Trust me. How can our readers help Second Chance Toys? Craig: Your readers can check us out and get involved with our cause via our website: www.secondchancetoys.org. I am on the Second Chance Toys Board of Directors, and we have written a strategic plan to support our future growth. We want to expand to major metropolitan areas across the country because that is where there are the most kids in need and the most environmental problems. We are hoping to find corporate sponsors in these cities to donate to our cause so that we can continue to expand our good work in their communities. Of course, we are also always looking to collect more great toys and identify more organizations serving disadvantaged children. It is really rewarding to be part of Second Chance Toys, whether you or your company are giving your time, your toys, your money or your ideas. So please get involved. Check us out. Give generously and tell your friends and families about us, too. Second Chance Toys and ReuseNYC! Second Chance Toys is proud to announce that we are now an official member of ReuseNYC. 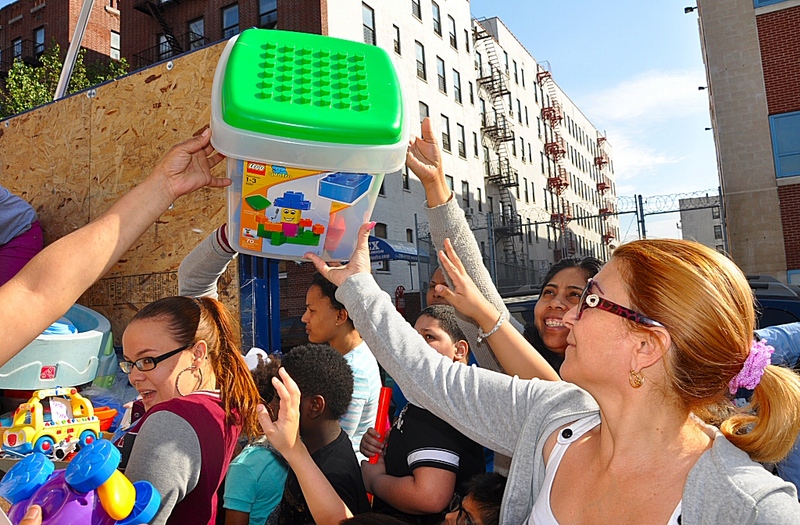 ReuseNYC is an association of NYC nonprofits that accept and redistribute donated goods. 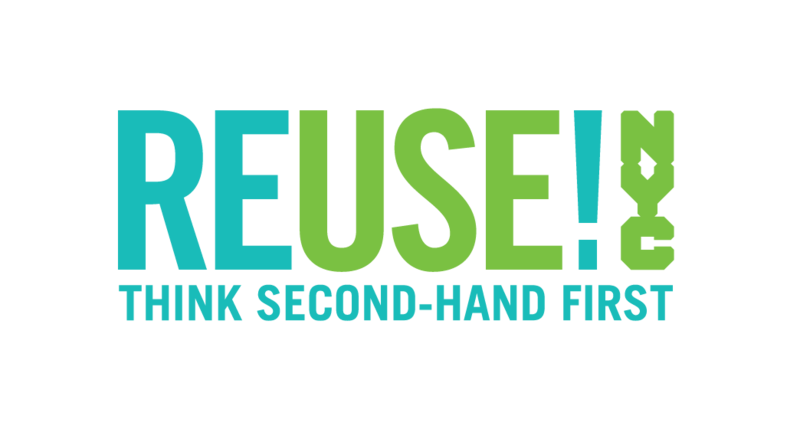 Their mission is to support their member organizations and promote the social, environmental, and economic benefits reuse provides local communities. Unsubscribe from: Blog item: Second Chance Toys and ReuseNYC! Debra Miller, a Philadelphia-based teacher and enthusiastic supporter of Second Chance Toys, generously took some time to answer some questions about how SCT makes a difference in the lives on her students. As Ms. Miller explains below, every little bit helps in the classroom, as oftentimes school districts cannot afford to provide all of the resources needed for and by students. What did you wish more people knew about teachers and the overall profession today? Debra Miller: I wish people understood how hard teachers work. It's not just the hours in the classroom. It's planning and individualizing lessons so that each child gets the information in ways that are easy for them to comprehend. Children come into a classroom with different levels of what they know. Some children have been exposed to things outside their neighborhood while other live their life in a six block radius and never experience anything different. It takes a lot of time at home to coordinate lessons and teach individually and in small groups, which is what the district is moving to. D: I received a letter in the mail from Craig Scott and his children about 10 years ago when they were first starting Second Chance Toys. I was the Head Teacher at a school district of Philadelphia, a site of Head Start. We had 114 children, all low income in the middle of North Philadelphia. Any donation we received was greatly appreciated. When did you first get involved with Second Chance Toys? D: I responded and spoke to Mr. Scott. His involvement was tremendous. We arranged for a toy delivery for Christmas. The 1-800-GOT-JUNK? Truck arrived with bags and bags and bags and bags of toys. We were able to fill up an entire room with toys for the children to come in and select any toy they wanted. I cannot tell you how wonderful it was. The looks on the children's faces and their pride in their selection was amazing. This participation continued for the next eight years until the school district closed that site. I contacted Mr. Scott to let him know that Trinidad had closed and I was now at another Head Start in an elementary school. He was so nice to continue the generous donations at my new location. 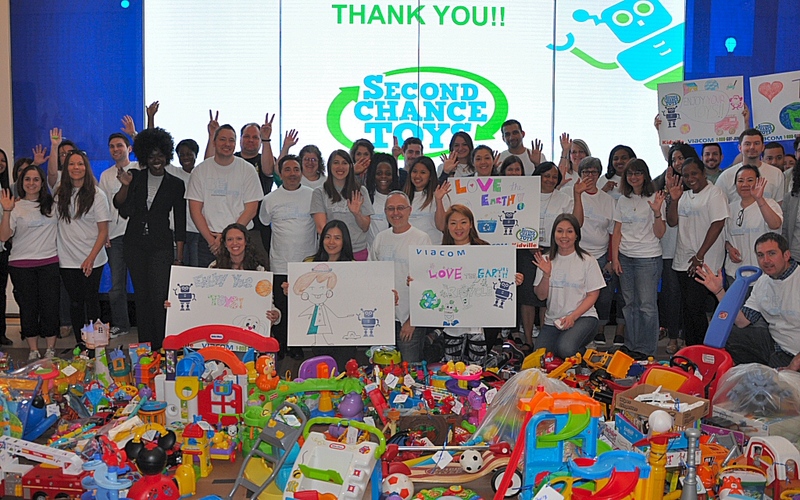 What is your favorite part about being involved with Second Chance Toys? D: This is a wonderful team of people that work tirelessly to ensure that low income children receive good quality recycled toys that are brand new toys to them. Many of these children come from single parent households with many brothers and sisters, and have little money left to buy toys. My classroom children receive toys every year. Is there a toy or item that's been donated that has especially meant a lot? D: We had a little boy this year who was extremely developmentally-delayed, and had no communicable language, along with several other special needs. We received a multi-purpose play cube that contained a bead on three different wires that were curly, humpy, windy, on one side, another side of the cube had different shapes that spun around, another side had bells, and buttons and knobs to turn and each one created another sound, and so on. We knew this was the perfect toy for this child. He sat for an hour on the floor after he received it just playing and exploring. It was the longest time he sat still and focused on anything for that long. What sorts of items are most useful to receive in donation drives? D: Anything. Remember , most of these children have nothing. The girls love kitchens, doll houses, carriages, anything Dora and Barbie. The boys love cars and trucks and basketball hoops, and Spiderman and Batman, bikes. But truly just anything they get to pick and take home and call their own is enough for them. Finally, how can someone be most helpful to a teacher like yourself? D: Teachers have very little supplies and buy most of the things for their classrooms and necessities for their children themselves. I buy my children pencils, composition books, pencil boxes every September, and throughout the year we buy supplies to enhance our lessons. There are never enough books in a classroom for the children to read and take home and love. A teacher is grateful for any donations, she will always find a use for anything. It's summer! Here are a few tips to enjoy time outdoors in a ecologically responsible way. 1. Garden. Show kids where food comes from by establishing your own garden. Even the smallest of spaces can be home to a few containers for growing herbs, lettuce, or even tomatoes. For bigger areas, plant fun things like blueberries and strawberries that kids already enjoy. And try out some others that your kids might not "like"-- sometimes seeing and waching how something grows will spur a child to give it a try when it's on their plate! 2. Seek out water. 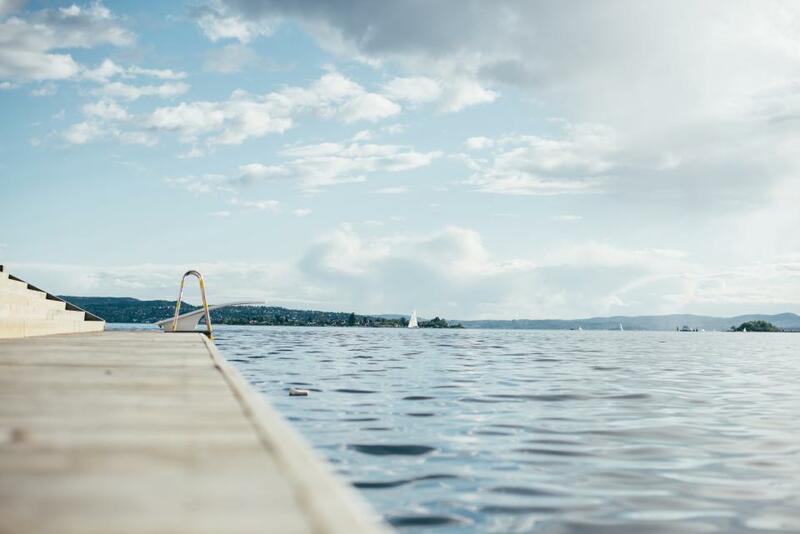 Instead of sitting inside with the A/C running, head to a nearby lake, beach, or river and enjoy some time splashing there. Make sure to turn your thermostat up while you're out so it isn't running unneccessarily. (Most recommendations are to set your A/C to 75 while you're home, and a few degrees higher if you'll be leaving. On the other hand, setting the heat to 68 in the winter is a common recommendation.) Visiting lakes, beaches, and splash pads instead of running the sprinkler or filling a baby pool will save you and the Earth lots of water! 3. Explore your yard and neighborhood. Grab a jar and try to find insects in your own yard. See what you can find! When night comes, catch fireflies with a net and place them in a jar and watch them light up. Remember to put some grass and leaves in the jar, a wet paper towel to keep the air humid, and be sure to poke a few holes at the top. Release the bugs when you're done watching them. If bugs aren't your thing, search your neighborhood for native flowers. Bring along pencils and a pad of paper to draw your favorites. Try not to pick any, since wildflowers are a vital part of the ecosystem. It's been a busy few weeks here! 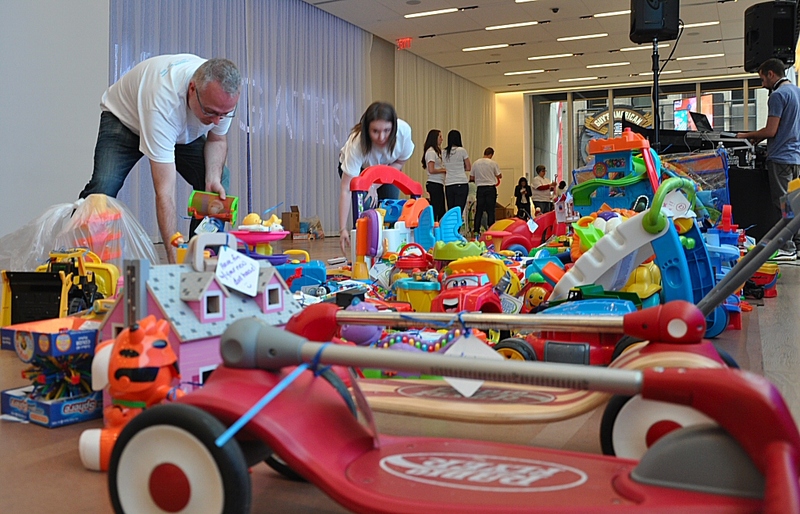 We're excited to announce that Earth Week 2015 collections totaled 10,000 toys. 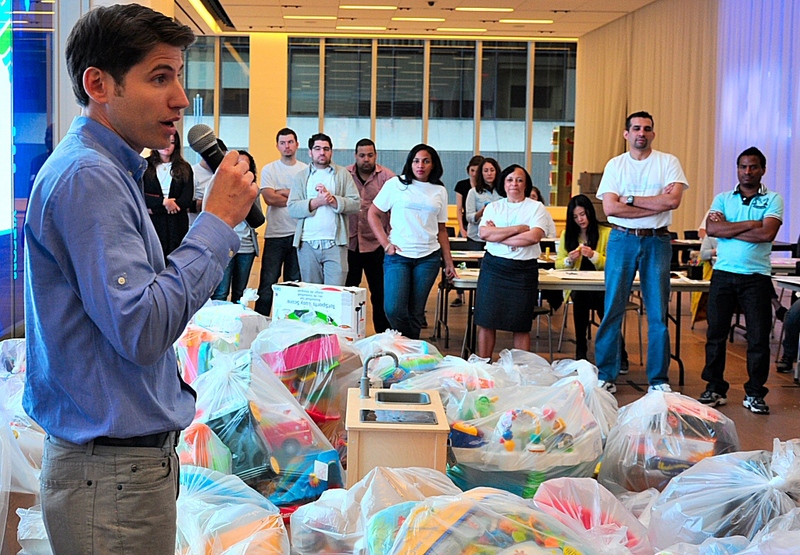 That's 10,000 toys in the hands of children in need, rather than taking up space in a landfill. That's roughly 20 TONS of plastic saved! 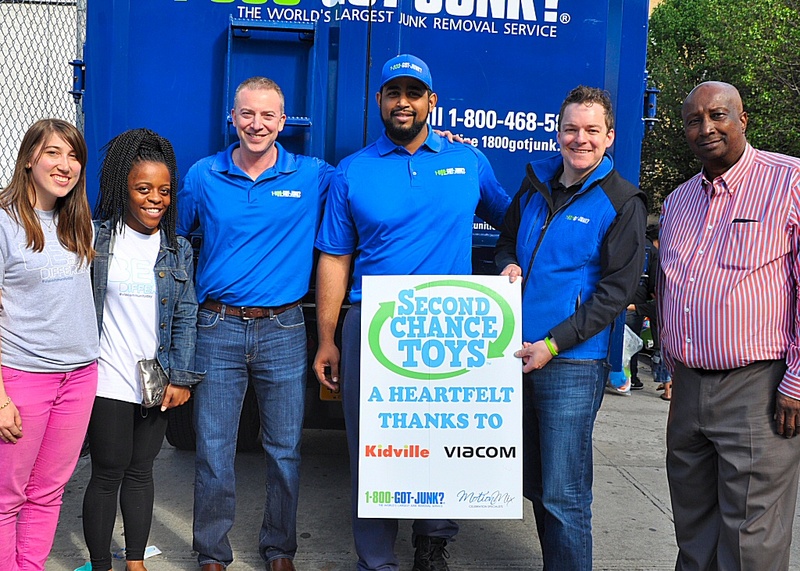 A special thank you to all of our volunteers and to our partners at 1-800-GOT-JUNK, Kidville, Kohl's, and Viacom. Let's do it again next year! Viacommunity Day 2015: Dance Party Toy Prep! The outstanding team at Viacom never ceases to amaze us! Our third annual Viacommunity Day partnership went off without a hitch. The volunteers showed up full of energy, ready and excited to prep close to 1,000 gently used plastic toys for local kids in need. 100 Viacom associates volunteered to spend the day cleaning, tagging and bagging all of the toys that were collected at 10 participating Kidville drop-off locations across the city. The Second Chance Toys DJ had the crowd dancing as they moved from station to station making sure each toy was spotless and ready to go. It didn’t stop there-- the volunteers created posters and wrote messages to the recipients on hang tags that were tied to each toy so the love could be spread from the Viacom White Box in Times Square, throughout Manhattan and Brooklyn before the last donation stop in the Bronx. Viacom CEO, Philippe Dauman, and COO, Tom Dooley, stopped by to join the party and let the team know how proud they were of them. Tee Lawton from Mount Hope Housing came by to thank everyone on behalf of his recipient organization and the families who would be getting some of the toys. John Lehman from Kidville stopped by to show his support and represent the outstanding Kidville Team. 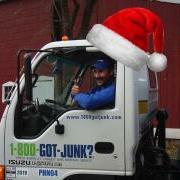 And as always, our dedicated friends 1-800-GOT-JUNK? were in attendance ready to load up their trucks and make toy deliveries to the hundreds of smiling little faces. Viacommunity Day 2015 was a big success and we couldn’t have done it without everyone involved! Thank you all for your dedication to our mission, the Earth, and the kids. Unsubscribe from: Blog item: Viacommunity Day 2015: Dance Party Toy Prep! Oftentimes, when a "rare collection" is being auctioned off, you expected to hear about Sotheby's or Christie's acting on behalf of the upper crust. But every now and then comes a heart-warming rarities auction of sorts. Enter Joe Moscone, a publicist who had worked with Hasbro for a long time. Joe is now auctioning off his large collection of toys to benefit Receptions for Research: The Greg Olsen Foundation. This organization helps provide hospitals, doctors and scholars with "the resources necessary to enhance the lives" of those suffering from forms of cancer and cardiovascular disease. Selling off items through eBay, Moscone is posted around 15 new items each week through the June. Among the rarities currently up for sale are pieces related to "Star Wars," "G.I. Joe," "My Little Pony," "JEM," "Deadpool" and Wolverine from "X-Men." So the next time someone mocks your collection of toys, remember that toys can go a long way in making a difference for others.